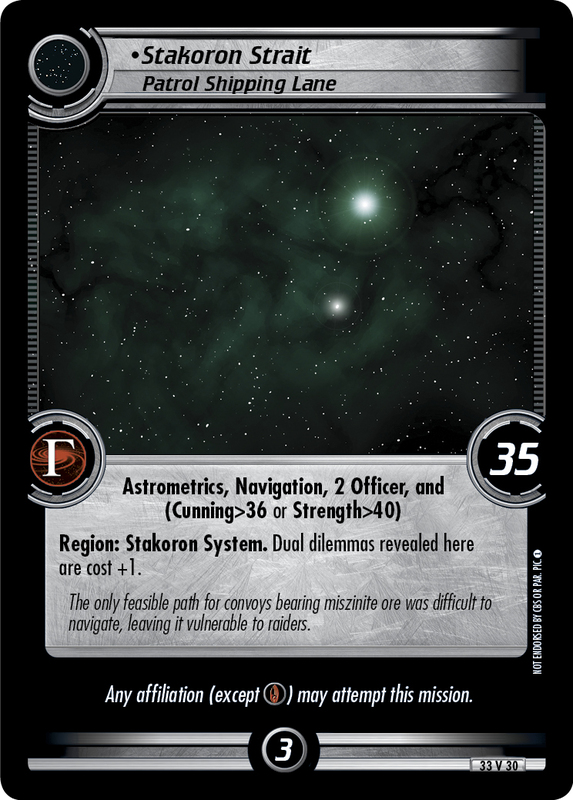 Region: Stakoron System. 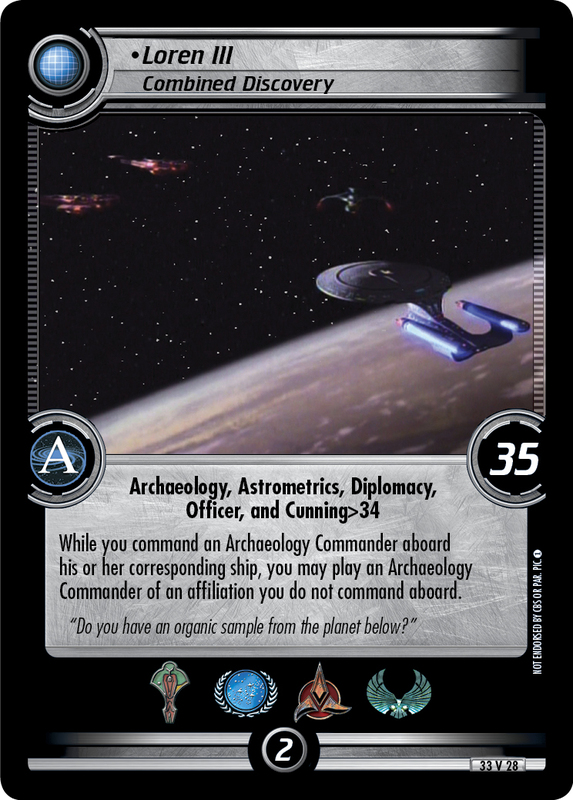 Dual dilemmas revealed here are cost +1. 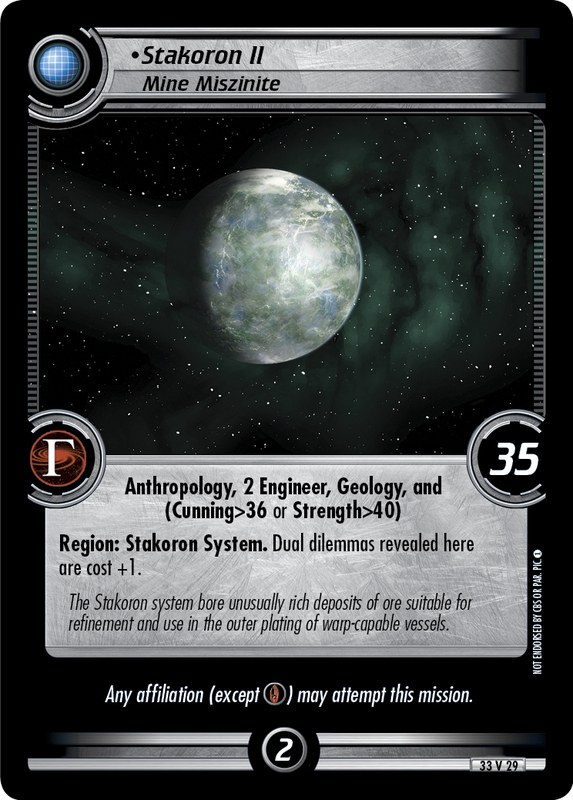 The Stakoron system bore unusually rich deposits of ore suitable for refinement and use in the outer plating of warp-capable vessels.